HANGZHOU: Gliding silently through Alibaba Group Holding Ltd’s futuristic “FlyZoo” hotel, black disc-shaped robots about a meter in height deliver food and drop off fresh towels. The robots are part of a suite of high-tech tools that Alibaba says drastically cuts the hotel’s cost of human labor and eliminates the need for guests to interact with other people. Formally opened to the public last month, the 290-room Fly Zoo is an incubator for technology Alibaba wants to sell to the hotel industry in the future and an opportunity to showcase its prowess in artificial intelligence. It is also an experiment that tests consumer comfort levels with unmanned commerce in China – a country where intrusive data-sharing technology is readily tolerated and often met with enthusiasm. “It’s all about the efficiency of the service and the consistency of service, because the robots are not disturbed by human moods. 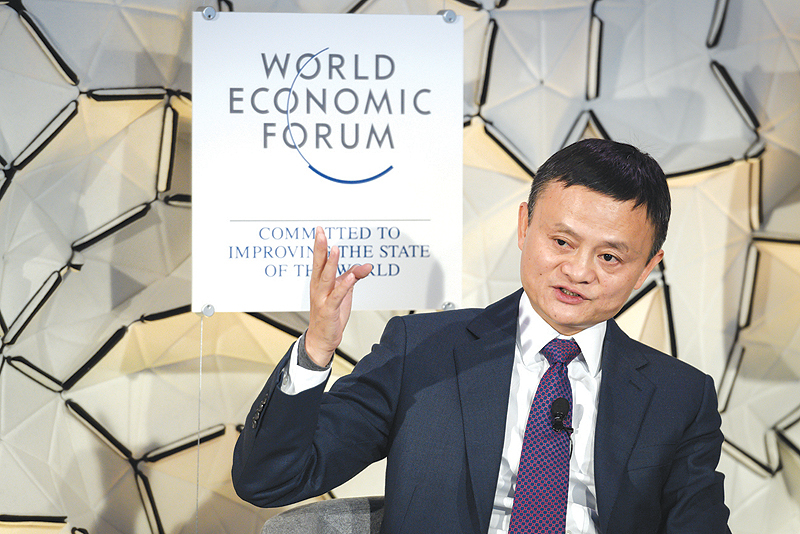 Sometimes, we say we are not in the mood, but the system and the robot will always be in the mood,” said Andy Wang, CEO of Alibaba Future Hotel Management, the unit that oversees the hotel project. Inside the hotel, softly-lit white paneled walls bring to mind the interiors of Hollywood spaceships. Guests check in at podiums that scan their faces, as well as passports or other ID. Visitors with a Chinese national ID can scan their faces using their smart phones to check in ahead of time. Elevators scan guests’ faces again to verify which floor they can access and hotel room doors are opened with another face scan.”It’s very quick and safe. I haven’t used it for a long time yet, but basically, I can be in my room in one minute,” said guest Tracy Li. Li added that safety was one of her priorities and she was pleased her room could only be entered with a scan of her face. In the rooms, Alibaba’s voice command technology is used to change the temperature, close the curtains, adjust the lighting and order room service. FlyZoo – whose name derives from a pun in Chinese for ‘it’s a must to stay here’ – is located in the city of Hangzhou, 170 km southwest of Shanghai, and is within walking distance of Alibaba’s headquarters. Room fees start from 1,390 Yuan ($205) a night. It does employ humans, though Alibaba declined to specify how many. This includes chefs and cleaners as well as reception staff, who will assist with conventional check-in procedures for guests unwilling to have their faces scanned and want to use electronic key cards. But advanced technology involving personal data – including facial recognition – has become increasingly common in China, where regulation is minimal and the government has rolled out public surveillance projects that use biometric data. “For Chinese consumers, there’s this real glee in having exposure to things that seem like futuristic technology developments, and then beyond that, I think there’s a much greater comfort level with data sharing,” said Mark Natkin, managing director at Beijing-based technology consulting firm, Marbridge Consulting. Alibaba has launched other highly automated projects for book stores and grocery stores. Though most projects are not necessarily intended to be springboards to big forays in those industries, its grocery stores called Hema have been well received and now number about 100 nationwide. The aim of such projects is twofold – develop AI and other high-tech expertise which will propel Alibaba’s e-commerce offerings forward, as well as develop new areas of business at a time when e-commerce revenue growth rates are slowing, in part due to the US-China trade war.